New research from Indiana University suggests that computer models used to predict the spread of epidemics from climate change—such as crop blights or disease outbreaks—may not take into account an important factor in predicting their severity. A study recently published in the journal Ecology has found that pathogens that grow inside organisms at higher temperatures produce offspring that cause higher rates of infection compared to pathogens that grow inside organisms at lower temperatures. This suggests that climate can cause an "echo effect" in future pathogens, ultimately making them more infectious. "It's well known that environment can affect offspring across generations in plants and animals," said Spencer Hall, a professor in the IU Bloomington College of Arts and Sciences' Department of Biology, who is senior author on the study. "This study is one of the first to suggest that similar cross-generational effects occur in parasites and pathogens." The work was led by Marta Strecker Shocket, a Ph.D. student in Hall's lab at the time of the study. Hall is also a member of the Environment Resilience Institute at IU, part of the IU Prepared for Environmental Change Grand Challenge. "If past environmental conditions impact the frequency or severity of future infections, then current climate models are not taking an important factor into consideration when predicting threats from climate change," said Shocket, who is now a postdoctoral researcher at Stanford University. "This might include threats to animals, plants and people." 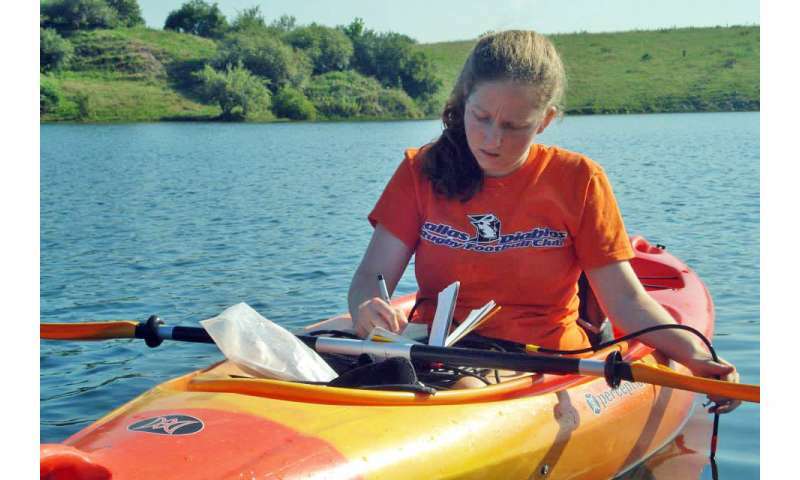 The researchers' analysis draws in part upon research in water fleas conducted at three freshwater lakes in southern Indiana where Hall's lab has collected samples since 2009. Located on the site of a former coal mine in Green-Sullivan State Forest in Linton, Indiana, the lakes are known locally as Lake Gambill, Lake Clear and Lake Scott. 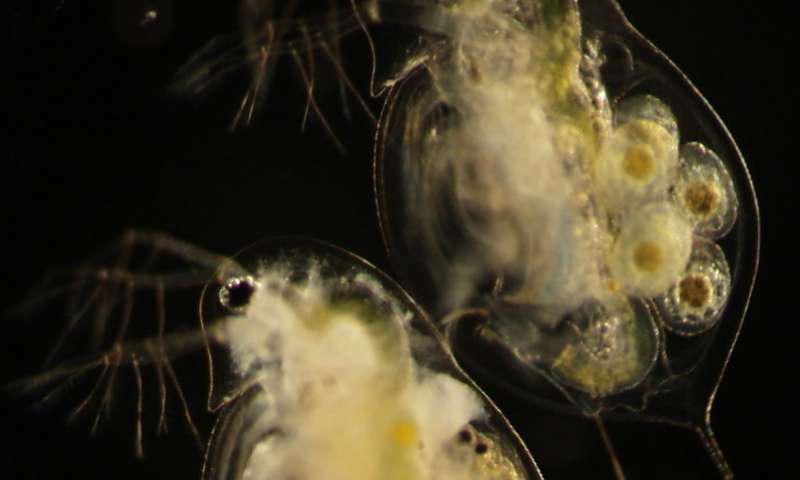 Water fleas are susceptible to infection from a fungal pathogen called Metschnikowia, which reproduces inside water fleas as needle-like spores that multiply until they kill them and burst out of their bodies to infect the next generation. A single autumn can produce six to 10 generations of the spores, with up to 60 percent of water fleas infected at the epidemic's peak. "The translation of observational data into computational models is important in the field of ecology since nature is so messy," he added. "The refinement of the algorithms to predict risks from climate is a crucial step in our ability to prepare for environmental change." I wonder if the fungus is more infectious because the water is warmer, or if daphnia are infected more easily because they're stressed from the warmer water. I suppose it could be both.